About College: Rajiv Gandhi University of Knowledge Technologies is an autonomous, technical university constituted under the Act 18 of 2008 by the Govt. of Andhra Pradesh, located in Basar, Telangana, India. The university offers Undergraduate, Post Graduate and Ph.D degree in various programmes. 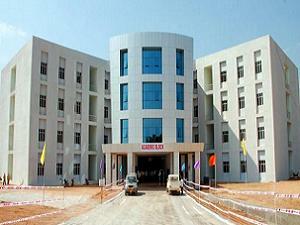 Bachelor of Technology(B.Tech) is a six(6) year undergraduate programme,total six(6) years of study in the campus after ssc offered after 10th class examinations which includes two years Pre-University Course equivalent to intermediate degree followed by four year degree course in engineering course. These companies hired students last year- Wipro, HCL, TCS, Infosys, Tech Mahindra, IBM, Infotech etc. Antah Pragnya a national level technical fest is being conducted every year to explore the new innovative ideas of the young minds.